The desire for sports gambling in New York is no secret and one bill sponsor has aspirations to provide betting kiosks within NY’s iconic venues like Madison Square Garden. A Democratic Assemblyman, Gary Pretlow, is hoping to introduce finalized legislation to the New York assembly which will include provisions to allow in-stadium sports wagering at venues like Yankee Stadium and Madison Square Garden. Pretlow will bring forth the bill before April and explained to CBS2’s Ali Bauman, “When people are betting on sports, they want to be there…It’s more exciting”. Earlier this year, Governor Andrew Cuomo said he was in favor of legalized sports gambling in casinos upstate but has not commented on this proposal to offer sports gambling in either of these venues. In all eight states with state legalized sports gambling, none have offered on-site wagering at stadiums. While Washington D.C. approved of legislation with provisions to allow in-stadium wagering, the city has yet to launch these operations or receive their final approval by Congress. Democratic New York Senator Joseph Addabbo wants to approach state-licensed sports gambling in a more “methodical manner”. However, he agrees to in-stadium wagering opportunities but implemented much later on. Addabbo’s last comment on the subject was at the Senate Panel, “We’re going to do it better. And bigger. We are New York”. However, the bill has one issue to face – mobile wagering. Governor Cuomo and several other officials have said that for New York to provide mobile sports gambling, the state’s constitution would need to be amended. Assemblyman Pretlow believes Cuomo may have revised his view on mobile gaming, however, the Governor could not be reached for comment regarding this. Pretlow understands that if the viewpoint of mobile betting requires a constitutional amendment that it would take at least 2 years’ time to complete and he “won’t have the votes” to proceed with his plan. While four upstate casinos were approved to offer sports betting via updated New York Gaming regulations, final regulatory approval from the New York Gaming Commission has yet to be received. 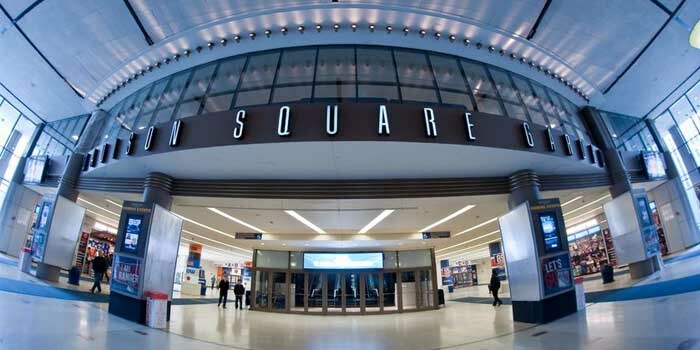 Nonetheless, venues like Madison Square Garden are excited to see the expansion of gambling in the Empire State. The company stated, “We remain excited about the positive impact legalized sports gaming has on consumer engagement and there are several areas, such as on-site gaming, we’d like to explore with the State and our league partners,” earlier in March. While Pretlow’s bill has yet to be made public, most sports gambling experts do not foresee his bill to allow eighteen-year-olds to wager. This is taken from last year’s introduced sports gambling bill which sought to allow wagering to those 21 years of age and older. Nonetheless, 18-year-olds can bet on sports using licensed offshore online sportsbooks.